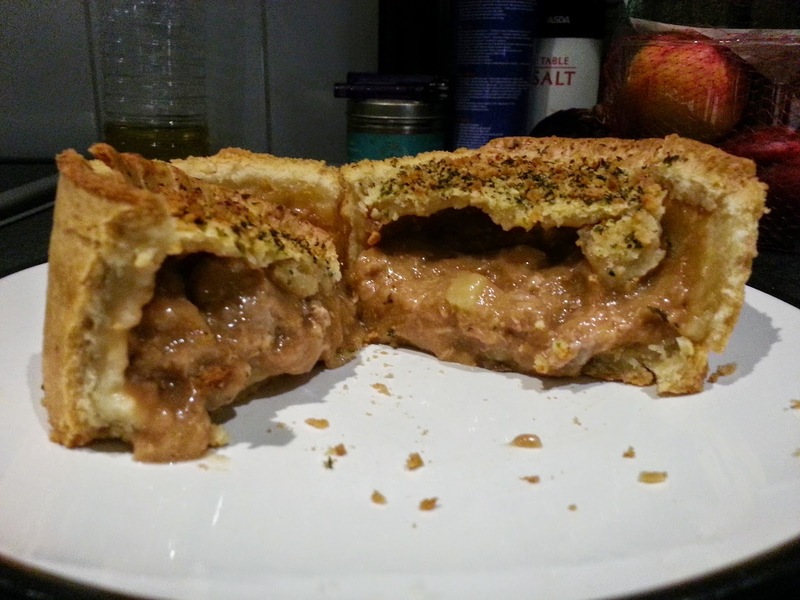 Pierate - Pie Reviews: Do I have to be strong for these Bistro pies? Ah, ASDA Bistro. 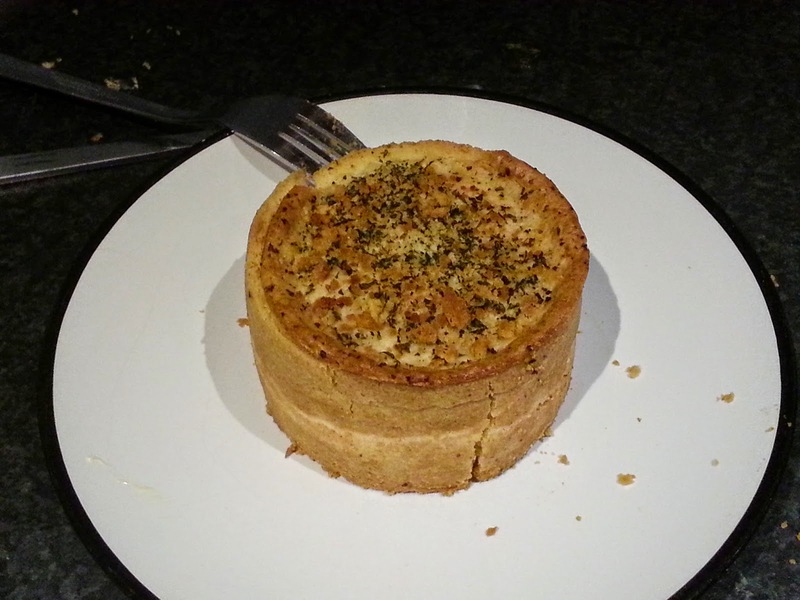 Once ranking so highly in the Pierate pie rankings, the ASDA Bistro Ultimate Steak pie set a new precedent when it became the first and only pie ever to actually get demoted on our list. What a shocker! In fact, the Ultimate Steak wasn't the only pie in ASDA's Bistro range to disappoint us with it's oversized air gap - the Ultimate Steak and Ale pie was equally empty, and some of ASDA's other pie offerings have also failed to step up to the mark in terms of capacity (steak and stilton, blackcurrant, and rhubarb). So it was with some trepidation that I reached up to the top pie shelf and picked out two as-yet-untested ASDA Bistro pies to see whether they could restore my faith in the Bistro pie range. Bring on the Chicken Filo Pastry Pie and the Pork, Bramley Apple and Cider Pie. They're £2.88 each, or 2 for £4. 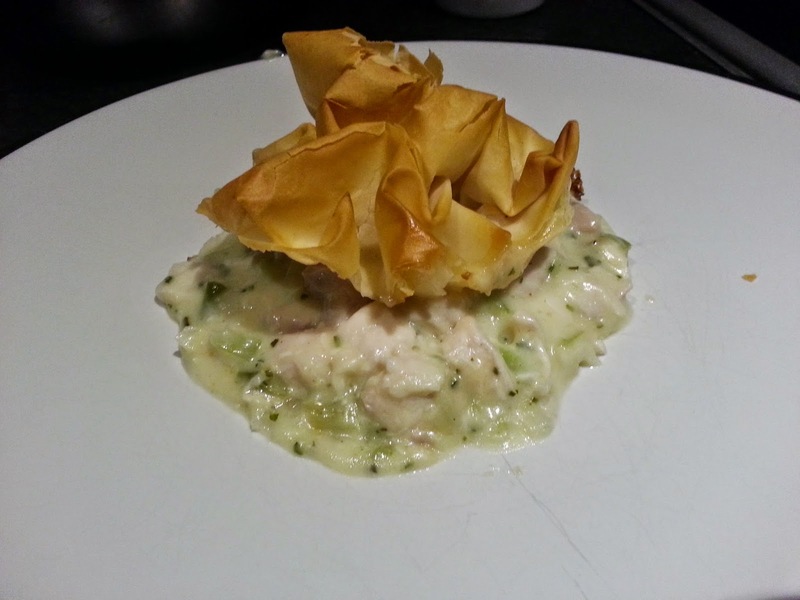 First up it's the chicken filo. 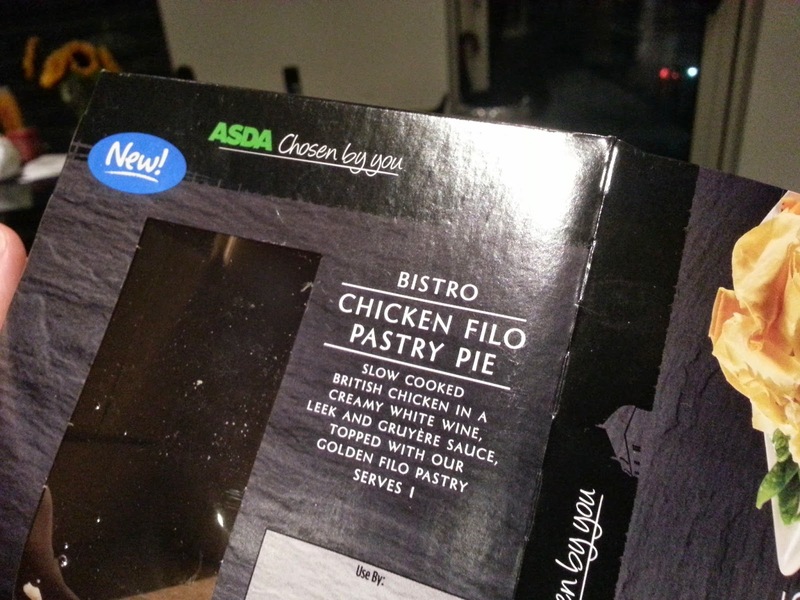 Filo pies have scored well previously on Pierate, but let's hope this isn't just a top crust offering. Oh no, it's just a top crust offering. Quite how this is ASDA's idea of a pie is beyond me. I'm left defeated, staring at this pointy filo crown floating atop a pooling stew of filling. I'm confused: how was I supposed to serve this pie? Leave it in the foil casing? There's no structural integrity to this pie whatsoever, and it just spreads across my plate. On tasting, though, the filling is actually rather nice. There's not a lot of it though, and I felt there was a bit too much sauce at the expense of too little chicken. However, the consistency of the sauce is pleasant and it does taste nice. Given that you could easily lift the filo "lid" of this pie away from the filling, the whole dish felt very disconnected. I actively had to spoon the filling onto the pastry lid in order to eat them together, otherwise this pie was essentially two disparate sections that didn't blend together harmoniously like a good pie should. The filo pastry was quite brittle and sharp, and not pleasant to bite into. Next up is the pork, bramley apple and cider pie. This is thankfully a fully encased pie. You can see in the photograph above that the pie is a nice golden colour with an attractive lid, but there is a small crack down the side, losing points for condition. Importantly, this foray into ASDA Bistro pies has taught me that ASDA still need to pick up their game in terms of filling their pies to capacity! 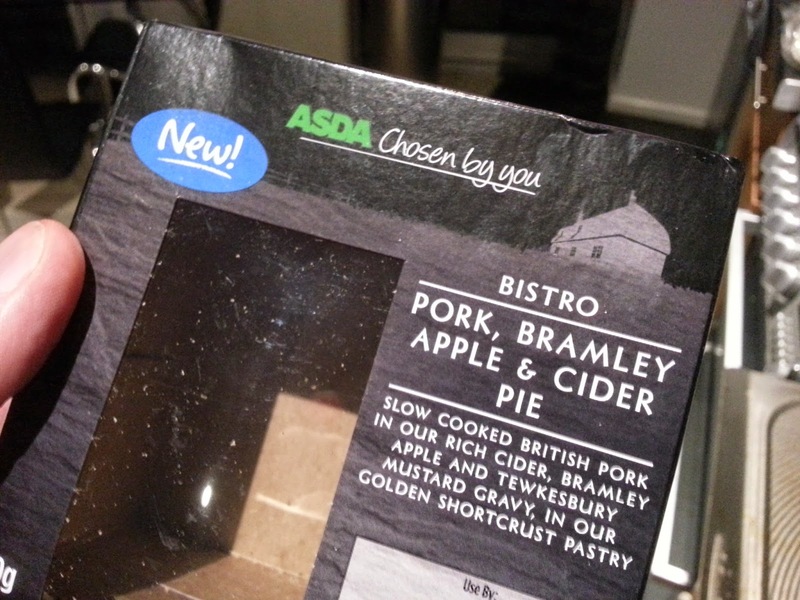 ASDA Bistro Pork, Bramley Apple and Cider Pie.